“Now, one must bear in mind that opinions of someone cannot be considered as the TRUTH unless his words are revealed words from Allah. This is especially true in our case, just like it was in the times of the Promised Messiah (as). The Promised Messiah (as) confirmed the words of the Qur’an and the Hadiths of the Holy Prophet Muhammad (sa) when he did not close the doors of revelation, prophethood and Mujaddidiyat. It must be borne in mind that while some of the Khulafa of the Ahmadiyya Jamaat have given their personal opinions on the questions of the coming of Mujaddids, that there shall never be again a Mujaddid who shall come after the Promised Messiah (as). But, has not the Promised Messiah (as) refuted all their claims himself by saying, that had he not come, Allah would have sent another one as Messiah for the fulfilment of this divine mission? Moreover, had he not say that even after him, it is quite possible that there appear 10,000 Messiahs? Every Ahmadi believes that the Promised Massih (as) came with a Divine Mission to restore the teachings of Sahih Al Islam. And the Ahmadiyya Khilafat was instituted with the objective of taking the message of the Promised Massih (as) to the whole world. After the first Khilafat, what began as a tussle over the doctrinal interpretations culminated into differences over the form of leadership- Anjuman versus Khilafat. Inevitably, there was a split in the Community, leading to the separation of ways of the disciples of the Promised Massih (as) and the formation of two groups. The Lahore Ahmadiyya Movement (LAM) under the Imaarat of Maulvi Muhammad Ali Sahib (ra) identified itself more closely with the mainstream Islamic world, hoping to dilute and bridge the doctrinal claims of the Promised Massih (as) so to find accommodation and acceptance within the prevailing Muslim orthodoxy and its standards of legitimacy. Thus, they emphasised the Mujaddid claims of the Promised Massih (as) and explained away the concept of his being an “Ummati Nabi” and declared that no prophet whatsoever can ever come after the Holy Prophet Muhammad (sa). An Ahmadi Maulvi raised this question when a member of the Jamaat Ul Sahih Al Islam, Kerala recently met him with the message of Allah in this age. He was obviously alluding to the current Ahmadiyya Khilafat as “water” and the coming of the Elect of Allah as “Tayyamum”. The larger question is this, what kind of “water” are you using now? Do you realize that the “water” you are taking to do your “Wuzu” has become as filthy as the water from the toilets? Will you then prefer to do Tayyamum, which is made with pure soil or sand and which has been commanded by Allah (and mentioned in the Holy Quran), or would you prefer to do “Wuzu” with water which has become filthy, or sewage water or even water (though clear) but which is found in toilet pits? “No one among Qadianis, who has spent years in Qadiani jamaat listening and believing what Qadiani Khalifas has been saying, can all of a sudden become a Mujaddid. Here is my reason: Intelligent Muslims who may even not be Mamur-min-Allah themselves have sight to “see”, “smell” and “feel” with in moments of meeting someone who claims to be a “mamur-min-Allah” (e.g. Qadiani Khalifas) and can figure out genuineness of his claim. Example: Maulana Noor Ud Din when first time went to Qadian to look/ meet HMGA, while his carriage (tonga) hardly stopped and he stepped off of it and asked to see HMGA. Someone pointed out to a person sitting on a cot, who was “Mirza sahib”. Maulana Noor ud Din took a look and decided to return the very moment. At that moment someone again realized that he wants to meet Mirza Ghulam Ahmad the ‘massitar’ (nick name for HMGA as he use to spend most of his time in Mosque). So Maulana was directed to HMGA house. There Maulana saw HMGA coming down his house stairs. Maulana before talking to HMGA asked his carriage driver to leave, and he (Maulana) decided to stay in Qadian. So, a person who has spent his life looking for a one chance in his life to shake hand with “hazoor” (Qadiani Khalifa) can NOT become Mamur-min-Allah one morning. In the 1990’s, the Ahmadiyya Muslim Community under the leadership of the Fourth Khalifa Mirza Tahir Ahmad Sahib entered into a Global Bai'at Programme for converting the world in to Ahmadiyya Islam. Every year, specific targets were centrally determined for converting people and the leaders dished out reports of their work in executing the task. And the Khalifa kept on announcing the news: that hundreds of thousands and millions and millions of people were joining the Jamaat from all parts of the world. So much so that by the time of the death of the Fourth Khalifa in 2003, the Jamaat estimates showed that over 200 million people were its members! Imagine, a million Ahmadis in every country of the world- a picture of unbelievably extraordinary progress no community has ever achieved within a single decade in the entire history of human kind!! Here are the officially reported conversion statistics between 1993 and 2002. One of the basic convictions of the Ahmadiyya Muslim Community is the belief in the continuity of revelations and the advent of Divine Reformers till the Day of Judgement. The Jamaat has been vigorously proclaiming for more than hundred years that, according to the Holy Qur’an and Hadith, prophethood continues after the Holy Prophet Muhammad (sa) and prophets will always be arising among Muslims. Yet, today the same Community is rejecting a Messenger of Allah when he has made an appearance! They believe that the Promised Massih Hadhrat Ahmad (as) is the Last Prophet and that after him there is only their man-elected Khilafat system till the Day of Judgement!! Online edition of Anwar-e-Khilafat is available at the Al Islam website. For the link, click here. 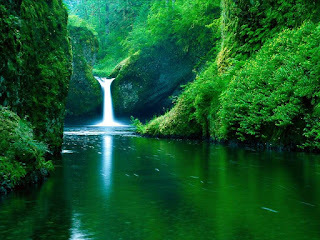 On the morning of June 20, 2011 Hadhrat Khalifatullah Munir Ahmad Azim Sahib of Mauritius received a message (in English) from Allah, the Most High. The message on the need to be mild, gentle and sympathetic in inter-personal and social relations is entitled: “The Voice of the Soul”. “It is well to cultivate a mild, gentle and sympathetic voice, and the only way to secure it is to be mild, gentle and sympathetic. The voice is the index of the soul. Children do not pay much attention to your words – they judge of your intent by your voice. We judge each other more by voice than by language, for the voice colours speech, and if your voice does not corroborate your words, doubt will follow. We are won or repelled by the voice. 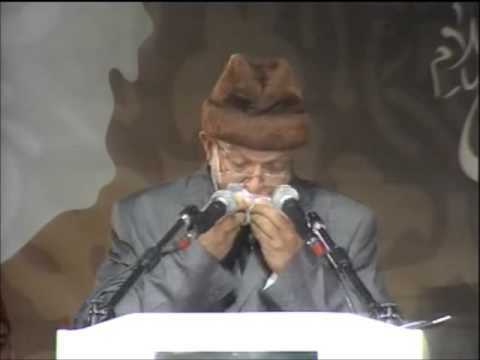 In a speech after Esha Prayers on June 17, 2011, Hadhrat Khalifatullah Munir Ahmad Azim Sahib of Mauritius challenged Abdul Ghaffar Janbah Sahib of Germany (the man who claims to be the Mujaddid of the Century- Photo down below) to a Mubahila duel. The challenge came in the backdrop of the latter’s rejection of the divine mission of the Khalifatullah. 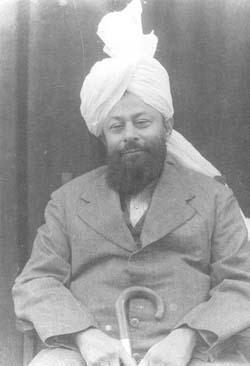 Further, Janbah Sahib has been maligning the reputation of Hadhrat Khalifa Sani Mirza Bashiruddin Mahmud Ahmad (ra) and is propagating that he met with an accursed death because of his claim of being the “Musleh Maoud”. In the Friday sermon of January 21, 2011, Hadhrat Khalifatullah called the attention of the Janbah group to the deep mistakes they were making in the matter and asked them to desist from pursuing with the smear campaign against a servant of Allah and to read the Holy Qur’an profoundly so as not to fall prey to the passions of man. The sermon was in the context of what Janbah Sahib replied personally to Shabeeb Hanif Sahib of Kerala. On March 13, 2011, Mansoor Ahmed Sahib, a disciple of Janbah Sahib issued a response to the Friday Sermon of January 21 with a grand title, "Lion of God". Hadhrat Khalifatullah promptly refuted both the disciple and his leader on March 25, 2011. Hadhrat Sahib further invited Janbah Sahib to come forward in a challenge. In articles published here at the Sahih Al Islam Blog, on May 02-03, 2011, we have shown the falsity of the argument that the Qur’anic Law regarding the punishment of false claimants of divine revelations is fulfilled in the case of Hadhrat Khalifa Sani (ra). Subsequently, Mansoor Ahmed sahib issued a refutation on May 17, 2011 at their official website even as Janbah Sahib remained behind the curtains. Time has now come to unmask a satanic theory and its proponents and to distinguish the “Lion of God” from “religious criminals”. In a recent article, Mansoor Ahmed Sahib (a disciple of Abdul Ghaffar Janbah Sahib of Germany, the man who claims to be the Mujaddid of the Fifteenth Century and the Imam of the Age), has responded to the first part of my essay “In Defence of Hadhrat Khalifa Sani (ra)- I & II”, published here at the Sahih Al Islam Blog, on May 02- 03, 2011. This is the concluding part of my response, the first installment of which was posted here on June 19, 2011. Mansoor Ahmed Sahib agrees that Khalifa Sani lived, after making the claim of being the Musleh Maoud, for a period of 22 years and six months under the Islamic calendar. Can anyone really argue the case that some one who has completed 22 years and reached the 23rd year and even crossed the half way mark of the year, did not meet the requirement of the time period? We have now an historically- unprecedented spiritual situation. For the first time in the history of mankind, a fake claimant to divine revelations was allowed by Allah to reach the twenty third year of his life having completed 22 years and six months! Admittedly, Khalifa Sani had ailments in his old age, as any other human being of his age and physical condition. But the important question is this: Has Allah, the Exalted given any immunity from age-related ailments for this claimant to Imam of the Age? Has he got any guarantee from Allah, the Most High that he would live over 22 years and six months after making the claim to divine revelations? The Holy Qur’an says: “And as for the bounty of your Lord do relate it to others” (93:12). If Janbah Sahib has indeed received such a bounty, why is he not proclaiming it? Abdul Ghaffar Janbah Sahib of Germany, the man who claims to be the Mujaddid of the Fifteenth Century and the Imam of the Age, has a disciple by the name of Mansoor Ahmed Sahib. In a recent article, the latter has responded to the first part of my essay “In Defence of Hadhrat Khalifa Sani (ra)- I& II”, published here at the Sahih Al Islam Blogspot, on May 02- 03, 2011. From the response article [available at their website: www.alghulam.com ], it is absolutely clear: The entire claim of Janbah Sahib hangs precariously on a string of a feeble, single argument: that Hadhrat Khalifa Sani (ra) completed only 22 years and six months after claiming to be the Musleh Maoud and did not complete 23 years as per the Qur’anic Law on the subject as perceived by him! The term “satanic theory” was used in my essay to describe Janbah Sahib’s theory to malign the reputation of Hadhrat Khalifa Sani (ra). Now Mansoor Ahmed Sahib has taken righteous indignation at the use of the term “satanic theory”. He seems to think, wrongly in my opinion, that the term “satanic theory” has been used in the essay to describe the very Qur’anic principle in this regard. Willful misrepresentation or deliberate distortion cannot be the objective or the intention of a believer. So, I assume that the writer is under a genuine misconception about the issue. Let me explain it for him. At a special Programme organized to mark the successful, historic, first public meeting of the Sahih Al Islam Community in Kerala, Hadhrat Khalifatullah Munir Ahmad Azim Sahib offered some insightful comments throwing light on the fortunes of believers in the time of a Divine Manifestation. Who are those who believe in it (and submit to this divine commandment)? They are those who recognise the advent of a Messenger of Allah. By the grace of Allah, the Jamaat Ul Sahih Al Islam members, those who have not seen the Khalifatullah of this age have believed in this humble self, and despite not seeing me in flesh and blood, yet they believed in the veracity of Allah and His Messenger and they are foremost to do exceptional works for the progress of Deen-i-Islam. They have recognized the instructions (the knowledge) bestowed upon them by Allah, to be the truth and they have believed in it, and their hearts also are convinced on this truth. To explain the Divine Manifestation in Mauritius in the person of Khalifatullah Hadhrat Munir Ahmad Azim Sahib (atba) and to disseminate the message of the Mujaddid of the era, the Jamaat Ul Sahih Al Islam, Kerala organized its historic, first public meeting on June 11, 2011 at Kodiyathoor. Kodiyathoor is a village-town in North Kerala, with a 90 percent Muslim population. Muslims of various sects- Sunnis, Mujahid, Jamaat-e- Islami, Anjuman Ishaat-e-Islam and the Ahmadis have their presence in the place and they have a rich history of harmonious coexistence and spiritual dialogue and even intellectual confrontation. 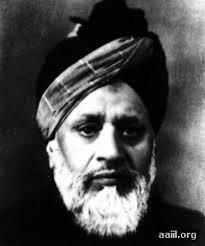 In 1988, when the late Fourth Khalifa issued the Mubahala Challenge, there actually was a Mubahala between the Ahmadis and the Anjuman Ishaat-e-Islam in Kodiyathoor. The Meeting started with Tilawatul Qur’an by K. Saleem Sahib of Alappuzha. Abdul Hakkim Sahib, Secretary- Tabligh, welcomed the gathering and explained the context of the Meeting. Jamaluddin Sahib, Amir Jamaat of Kerala was chairing the session. In the early Muslim Community, there were hundreds of people who knew and could recite the whole of the Holy Qur’an from memory, as they learnt it from the Holy Prophet Muhammad (sa). And the early Muslim Khulafa took practical measures to ensure that the Holy Book is preserved in written form as well. Beyond the physical protection of the text of the Holy Qur’an, Divine reformers (Mujaddidin) have always appeared in every century of Islam, to illuminate the teachings and to provide practical example for every generation. In a recent speech, the Khalifatul Massih V of the Ahmadiyya Community has argued that there is no need for reformers any more. The Khalifatullah Hadhrat Munir Ahmad Azim Sahib now points out that such thinking is mistaken and is against what Allah and His Messenger has taught us. In a speech on June 14, 2011, Hadhrat Sahib (atba) reflected on the Qur’anic perspective for the preservation of the Holy Qur’an for all times through the advent of reformers. “Now, the question which is crucial to ponder over: Is it only through Hufaaz (the guardians of the Holy Quran, who know it by heart) or by writing (into the form of a Book) that the Quran shall be preserved? Common Ahmadis are surprised. They are intrigued when they come to know that Hadhrat Munir Ahmad Azim Sahib of Mauritius was outsted from the Jamaat merely on the ground of his being a recipient of divine revelations. They refuse to believe that the Jamaat establishment will excommunicate someone for being blessed by the divine favour of revelations. They feel that since the teaching of the Promised Massih (as) clearly foretold the continuity of revelations, it is simply impossible that any one would be expelled on that ground. “As (I have stated that) the present system of which I am part of at the moment is Allah’s system, supported by the Holy Quran and foretold by Holy Prophet of Islam, the question is what should be done when someone arrives from Allah, when there exists a divine system already??? The answer is quite simple for an ahmadi. When we look into history we have witnessed the prophethood of Hazrath Haroon (as) at the same time of that of Hazrath Musa (as). Both were raised for the same cause. But they never challenged each other. There wasn’t any clash between them…. 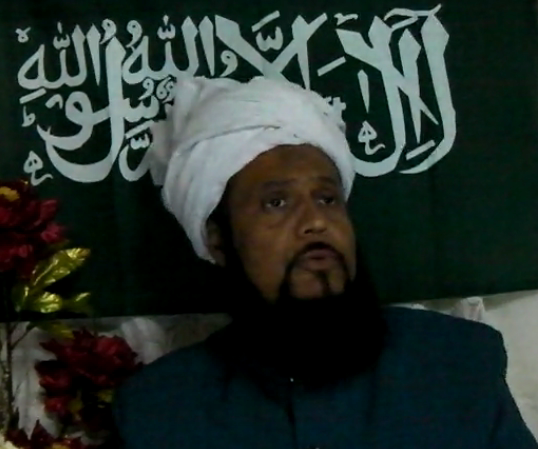 In his Friday Sermon of June 03, 2011 Hadhrat Khalifatullah Munir Ahmad Azim Sahib of Mauritius underscored the significance of Tabligh and made a special mention about the activities being undertaken by the Jamaat Ul Sahih Al Islam in Kerala. “In this century, we are the ones who need to spread the message of Allah, of Islam everywhere. Thus, take the firm determination (to accomplish this work) and free yourselves from all your past negligence and start your duty (to give the message of Allah to your surroundings, and other people). There are many people who may have religious knowledge, but religious knowledge alone is not sufficient. There must also be experience in the field of Tabligh and one must put it into practice. Tabligh must be done with good reasoning, with solid arguments, and not, by force. I wish to congratulate the Jamaat Ul Sahih Al Islam of Kerala where the Amir Sahib, Dr. Thahir Sahib, Fazil Jamal Sahib, Hariz Sahib and the others are doing excellent works in their own local language (Malayalam) along with the Siraj Makin (the ladies of the Jamaat) of Kerala. They even opened a blog which is linked to our official website. May Allah make them Mubarak in this noble work. Test of character is a recurring theme in spiritual experience and religious history. The Holy Qur’an repeatedly warns believers to be constantly on the alert and to examine their own inner urges and external stimulations at crossroads of conscience. The experiences of disciples at the time of God’s Messengers such as Moses (as), Jesus (as) and Muhammad (sa) point to the complex questions and forces at work in social circumstances. While faith is a framework to look for directions, it is important for believers to be cautious: You never know which way channels of vanity and material interests may overcome pure belief and corrupt your faith in God and in the manifestation of Divine favour among yourselves. Thus, in addition to fervent supplication of prayers, the believer must also distrust the human intellect and its vagaries or in any case, be critically aware of one's own subjectivity. In a speech delivered after Esha Prayers on June 10, 2011, the Khalifatullah Hadhrat Munir Ahmad Azim Sahib reflected on this profound subject. Allah, the Most High has always been sending His Messengers. 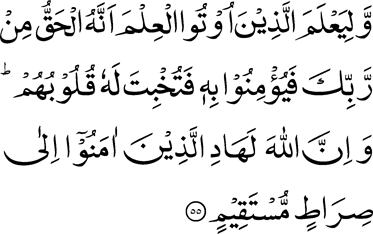 It is entirely under Allah’s discretion where and when to raise a Messenger of His and no creature of the earth can interfere with this Divine Decree. Common Ahmadis would willingly sacrifice their lives to hold onto this belief. Yet today, they are not being allowed by their leaders and scholars to consider that Allah can speak to an Ahmadi Muslim and raise him as a Messenger of His in the new century of Ahmadiyyat, to lead them in the path of Divine Love. Worse still, as is to be expected in the time of an Elect of Allah, the religious leadership had the audacity to boycott the new Messenger of Allah by expelling him from the Nizam-e- Jamaat. Yet, Allah, the Most High did not discard His servant and in fact, raised his spiritual status and elevated him with his own Jamaat. The Holy Qur’an says: “Thy Lord has not forsaken you, nor is He displeased with you. Surely every hour that follows is better for you than the one that precedes. 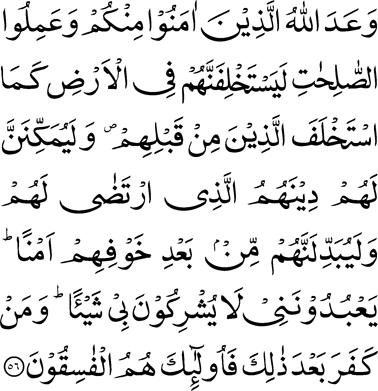 And your Lord will give you and you will be well pleased” [93:4-6]. Even as the Jamaat of the new Massih is progressing by leaps and bounds, the villains who conspired to harm the Massih is biting the dust: The scheming National Amir of the Ahmadiyya Jamaat in Mauritius, Amin Jawahir, who played the lead role in the expulsion episode was disgraced recently by his own Khalifa on charges no less serious than corruption and maladministration! Would someone who abused his position and privilege to persecute God’s Messenger have a fate other than humiliation and loss of face among his own people? 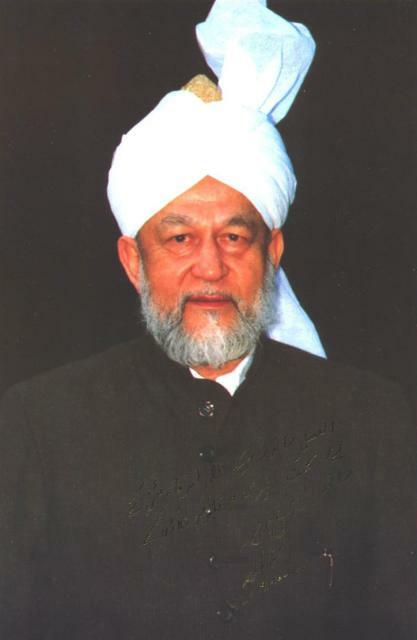 In a message to world Ahmadis in 2008, Hadhrat Khalifatullah Munir Ahmad Azim Sahib invited them to consider his Divine Mission and asserted that anyone who considered his claims with purity of heart and nobility of intentions and sought the light of guidance from Allah will definitely receive signs in favour of the Divine Manifestation and recommended that they follow the advice rendered by the Promised Massih (as) in this regard. “Today by Allah's Grace, I take Allah as witness to say that I am one of those persons who speak with the Holy Spirit ( rouhil qouddous ). It is indeed a great proof in favour of Hazrat Massih Maoud as that Allah has raised someone in his Jamaat to guide people towards him. In fact the spiritual heritage of Hazrat Massih Maoud (as) has been bequeathed to us. However, as at today the physical heritage is in the hands of others. Now it is up to you to see of which heritage you want to partake. The caliphs are the administrators of the Jamaat after the departure of a prophet until Allah sends someone else. Listen well my brothers and sisters, I swear that there are no lies in what I say and I do not have any ulterior motive. In his book “Victory of Islam”, the Promised Massih Hadhrat Ahmad (as) specifically linked the coming of a Khalifatullah in every century with the spiritual concept of Laila-tul Qadr. He clearly stated that the Khalifatullah appears to rouse people to spiritual consciousness and that angels descent with him- through revelations, they enable him to provide a living testimonial to the vitality of Islam in every age. In his Friday Sermon of June 03, 2011, the Khalifatullah Hadhrat Munir Ahmad Azim Sahib (atba) of Mauritius explained this important point from the blessed writings of the Promised Massih (as). Hadhrat Mirza Tahir Ahmad Sahib (May Allah forgive him) once said that he saw in a vision “Friday the 10”. Almost everyone in the Ahmadiyya Community is familiar with this vision of the Fourth Khalifa. And there has always been much speculation within about its real meaning and import. Reflecting upon the profound meaning of this spiritual vision, Hadhrat Khalifatullah Munir Ahmad Azim Sahib of Mauritius linked it with the year 2010 and the events in his Divine mission. The year 2010 began on a Friday, 01 January 2010- the first Friday of the year 2010. 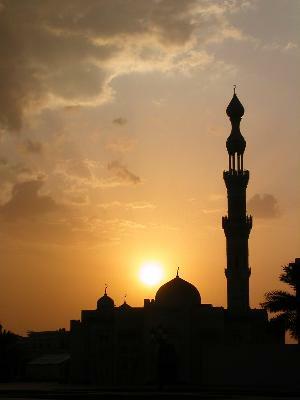 The first Friday of the New Year was also a blessed day for Muslims- for it was an Eid-ul-Jumm’ah. And the last day of the Year 2010 was also a Friday, 31 December 2010. It was on Friday, September 10, 2010, that Allah made the Khalifatullah stand up to officially proclaim himself as Messiah, Mujaddid and Prophet of Allah. Within a month of this official proclamation, Allah inclined the hearts of believers in a distant Asian land -Kerala, India- to recognize the Divine Manifestation in Mauritius, an African island! That the Divine Manifestation is happening in Africa should be a matter of happiness and pride for thoughtful Ahmadis- For it confirms a prophecy of Hadhrat Khalifa Sani (ra) that “the future of the Jamaat is linked up with Africa”. And it was on a Friday in the 10th month of the year 2010 that the new disciples of the Khalifatullah formed a branch of the Jamaat in Kerala!! The year 2010 also marked the 10th year of the Divine Mission of Hadhrat Munir Ahmad Azim Sahib, having begun his preaching in 2001- “the number has changed place – 2001 has become 2010. The 1 which was after 0 has now come before 0”, as Hadhrat Khalifatullah mystically observed in the Friday Sermon of January 01, 2010. The Lahore Ahmadiyya Movement considers that the belief in Mujaddidiyat is in accordance with the well-established “Islamic practice as recognised by the Ahl as-Sunna”.